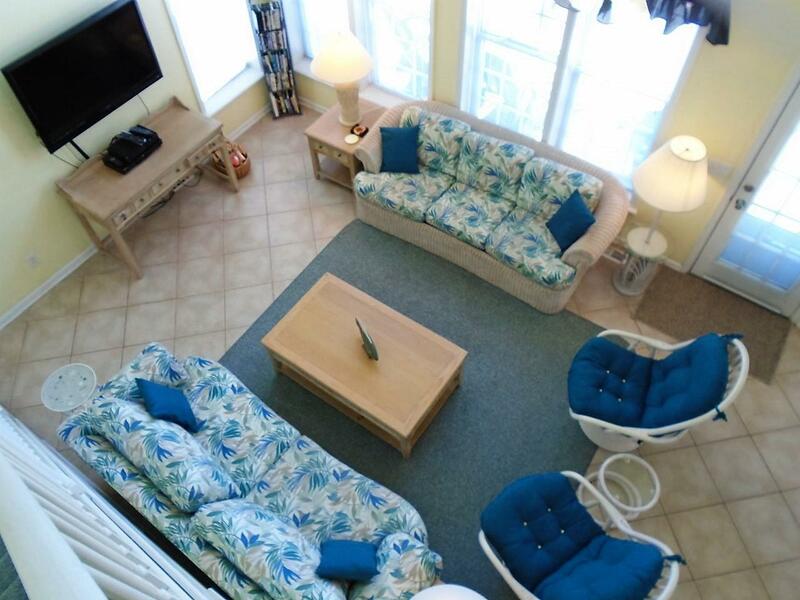 PRIV 35, $100 OFF ANY REMAINING WEEKS IN AUGUST 2019 Non smoking/ Must be 25+ to book/No pets This bright and airy house is perfect for your vacation with each bedroom having its own balcony! If togetherness is what you want, there is a big roomy front porch off the living room that will accommodate all your guests. There are rocking chairs, plus a table and chairs on this deck. Downstairs there is a ground deck where you can enjoy barbecuing with a Weber charcoal grill. There is also an octagon picnic table on this level, along with benches, a porch swing and chairs. 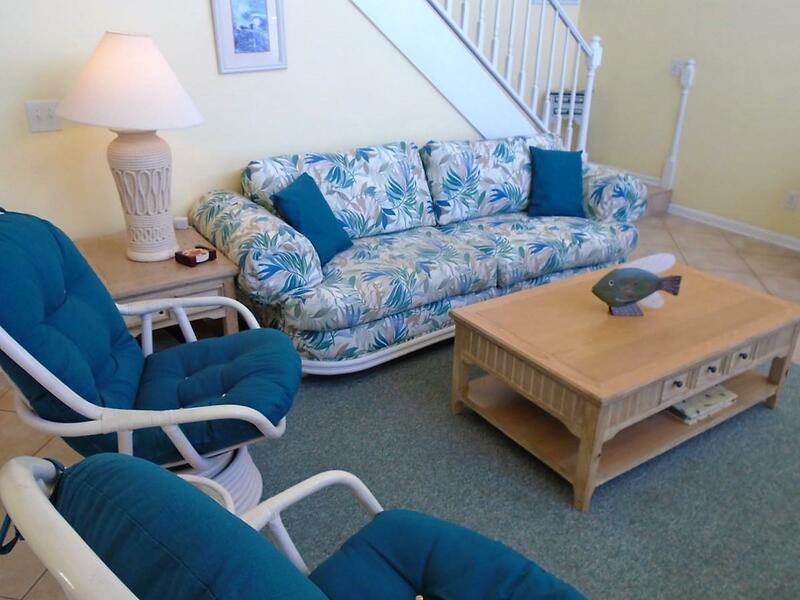 Along with the balcony, each bedroom has it's own bathroom, TV and DVD player. In total, there are six TVs including a big screen TV in the living room. The kitchen is very well equipped, including a large crock pot. 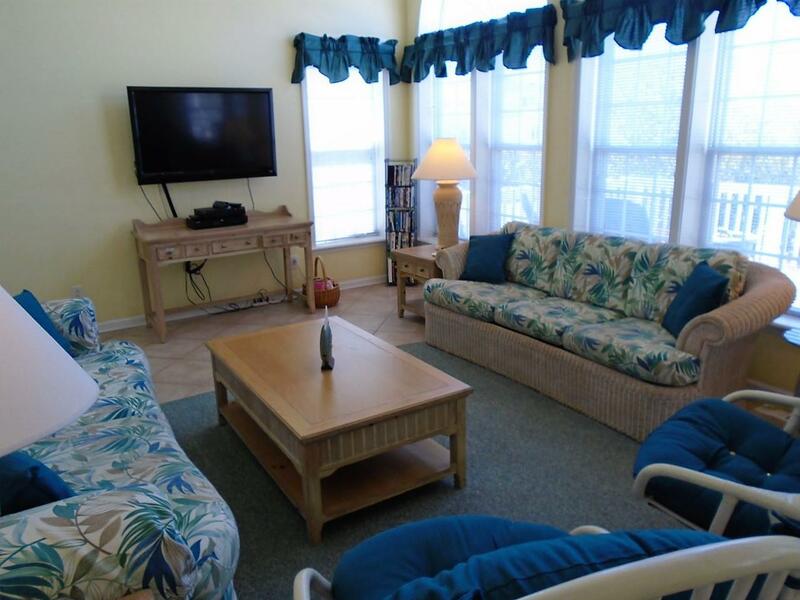 Amenities include: high speed wireless internet, high chair, portable guard rails for beds, central heat & air, dishwasher, microwave, washer & dryer, ceiling fans throughout and an outside shower. Beds - 1st Floor: 1King on the backside shares a full shower only bath with the hall, 1Queen, 1Single on the backside with a full private bath. 2nd Floor: 1Queen on the street side with a private full bath, 2Double on the backside with a full private bath, 2Double on the backside with a private shower only bath. Community pool open weekends in April, then May 1 through Labor Day 9AM-9PM and weekends after Labor Day through October. **NO SMOKING, NO PETS** Phone (910)579-2586. 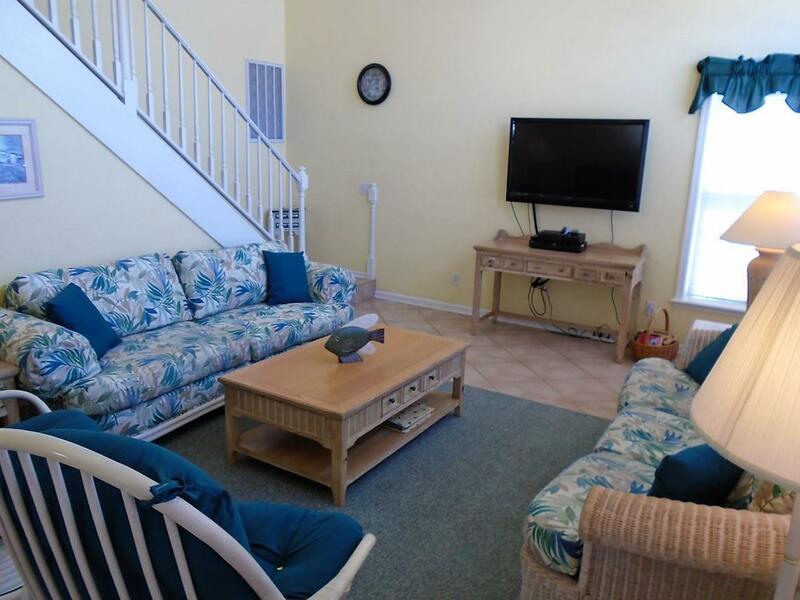 Short distance to pool and beach, lots of space and kitchen was well equipped. My daughter loved the swing at the bottom patio and every room had a private balcony.